Rainlegs were, without doubt, my best - not to mention kinkiest - cycling purchase of the last year or so. They saved my bacon (or at least my hams) during the cold and wet Stage 1 of my Czech border ride in May. Indeed, I was so impressed, I persuaded my two cycling pals Ryan and Ciaran to invest in them at the start of our Munich-Venice trip in June. They'd have been turkeys not to, as we spent the next few days in a downpour up in the Alps. Click here for a description of what they are and what they do. Copenhagen Cycling Chic is far and away the sexiest cycling website of them all. 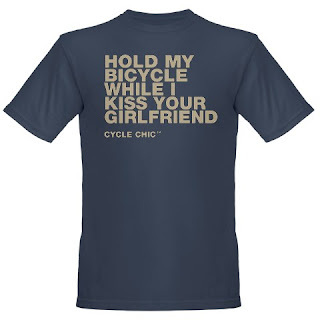 That’s partly because it is, in fact, a fashion blog disguised as a cycling blog (motto: “Style Over Speed”). And as you would expect, it has a very cool range of T-shirts. I’ve just taken delivery of two of them and I’ll be sporting them next year. 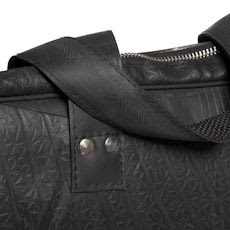 It always grieves me to throw away old inner tubes, but what else can you do with them? Well, one idea is to recycle them into laptop bags. It might sound implausible, but that’s exactly what British charity Oxfam is doing. If you’re after an environmentally friendly, ethical and useful gift, you need look no further. I’ve no doubt that many millions of readers of this blog will wake up on Christmas morning to find that Santa has brought them an iPhone. 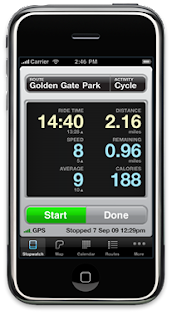 But an iPhone without a cycling app is like a Christmas tree without baubles. So, courtesy of the guys at Loving the Bike, here’s a whole list of them. If you truly love someone, you should buy them a bike for Christmas. No, really, you should. 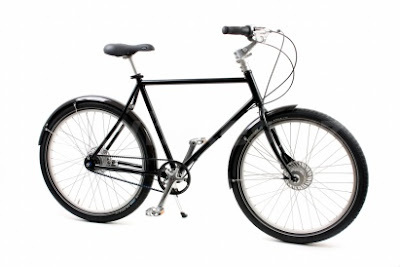 There are, of course, thousands to choose from, but I’ve quite fallen in love with this Czech beauty from Citybikes. The video below is in Czech, but you can still watch and drool. Now all I have to figure out is how to break the news to Mrs Circuit Rider.